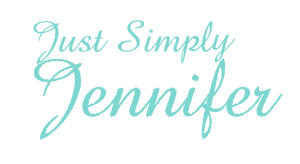 Sharing… | Just Simply Jennifer! Tonight, I am going to share with everyone out there. Recently, we received a pile of photo albums from some of Adam’s relatives which had pictures of Adam when he was about Kyra’s age and well all through his childhood really. I picked a few of them and am going to share them with you….isn’t that special!! Adam is the brother to the right doing that strange position in this first one. That is his twin brother Andy to the left. Adam grew up pretty poor, not hungry or anything. They just used all there money on bills and with 4 boys…well you get it. This is them dressed as paperbags for Halloween. I don’t think Kyra will be getting this costume makeover in her life. This is the one that makes me smile the most of the whole albums. Have you seen Kyra in a rain hat lately? Well, I see her in it almost daily and now I know that it is heredity. I have been told that Adam really liked this hat when he was a young boy. There you have it…aren’t I generous today.